The Farmers Market Nutrition Program (FMNP) is a free WIC voucher program used at Galveston's Own Farmers Market and available to customers already using federal Women Infants Children (WIC) benefits. WIC clients can receive these vouchers to buy fresh fruits and vegetables from local GOFM farmers-- $30 in vouchers for each child and parent who receives WIC! These vouchers are free and do not affect clients' other WIC benefits; they are in addition to existing benefits. 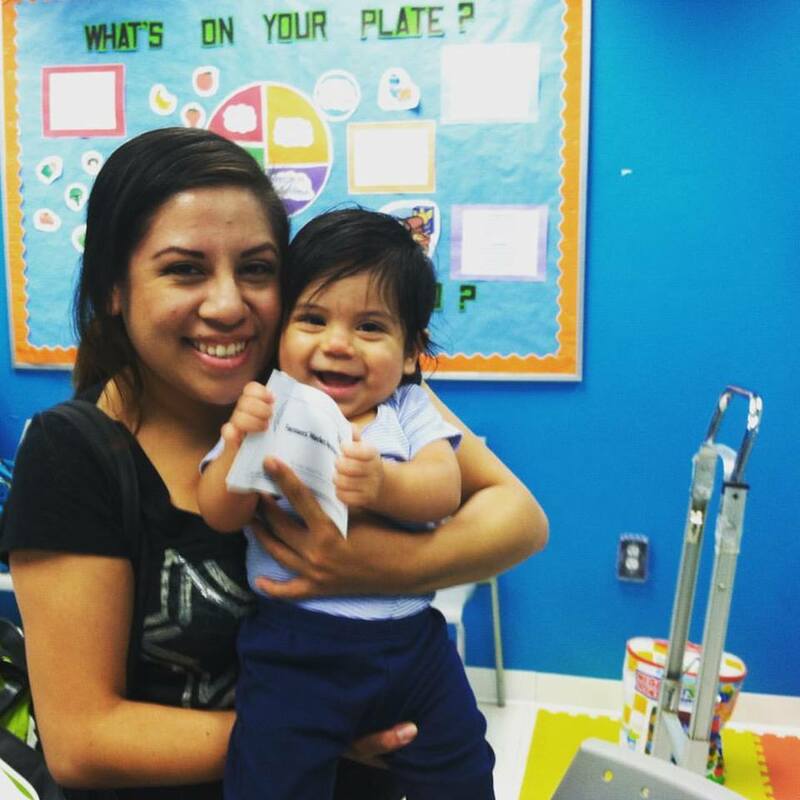 WIC voucher booklets are given out at all GOFM locations and during scheduled monthly visits to the Galveston Island WIC Clinic (at the Island Community Center) starting in late Spring and they expire at the end of the Fall season. In Galveston County, the only participating FMNP market is Galveston's Own Farmers' Market. How do I use FMNP? WIC vouchers are used like cash with farmers at GOFM locations. Upon arriving at market, go to the center GOFM Information Tent. We are happy to introduce you to the farmers who can accept your vouchers & demonstrate exactly how to use them--it's easy! WIC vouchers must be used before Oct. 31st and are used for fresh fruits & vegetables only. Unlike SNAP benefits, WIC vouchers are not a part of GOFM's matching program Fresh Bucks. Click here to learn about SNAP at the farmers' market and the Fresh Bucks program. Contact GOFM's Executive Director, Casey McAuliffe, at 512-635-4912 & casey@gofarmersmarket.com. To find out GOFM's schedule for distributing WIC vouchers, please call your local WIC clinic or contact GOFM.